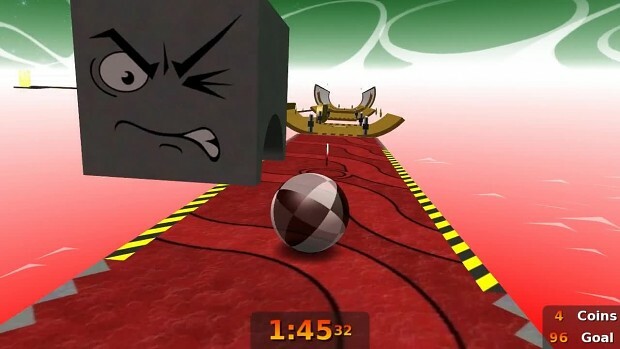 Tilt the floor to roll a ball through an obstacle course and collect coins before time runs out. Neverball is part puzzle game, part action game, and entirely a test of skill. The current version of Neverbal features over 140 challenging levels divided into six sets. Bonus levels can be unlocked by playing "challenge" mode. Neverball also supports mouse, keyboard, gamepad and joystick input. Please see the in-game Help screen for playing instructions. Our official forums can be found at nevercorner.net along with the Nevertable, an online "Hall Of Fame" where replays can be uploaded and shared with the community. The preview video still looks like ***.